Visiting Jamestown Settlement, the first English settlement in the Americas was a great experience. That is the place where the United States was born and where the Powhatan lived when the English colonist arrived in the spring of 1607. 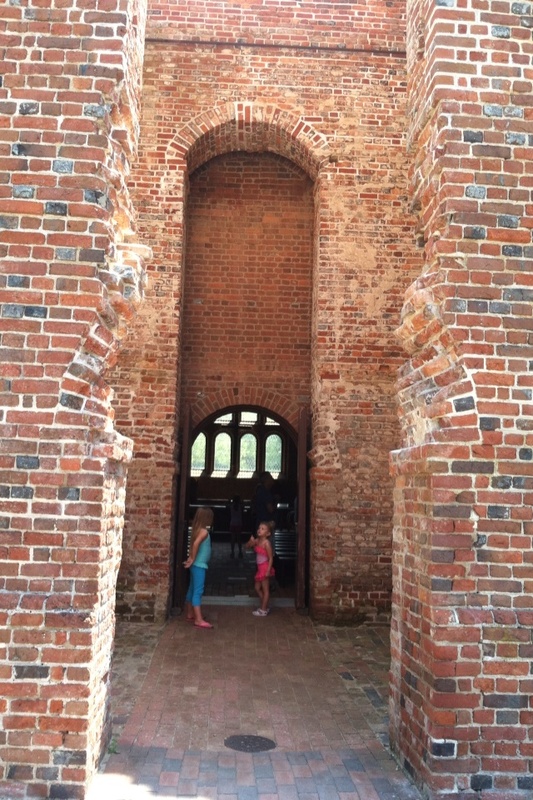 The old church bricks and the breathtaking James river are witnesses of the unexpected encounter of these two civilizations. Before the English arrived, the land was occupied by the Powhatan, a group of several tribes that were subject to a strong political system. Each tribe lived in a village with small round houses called wigwams. 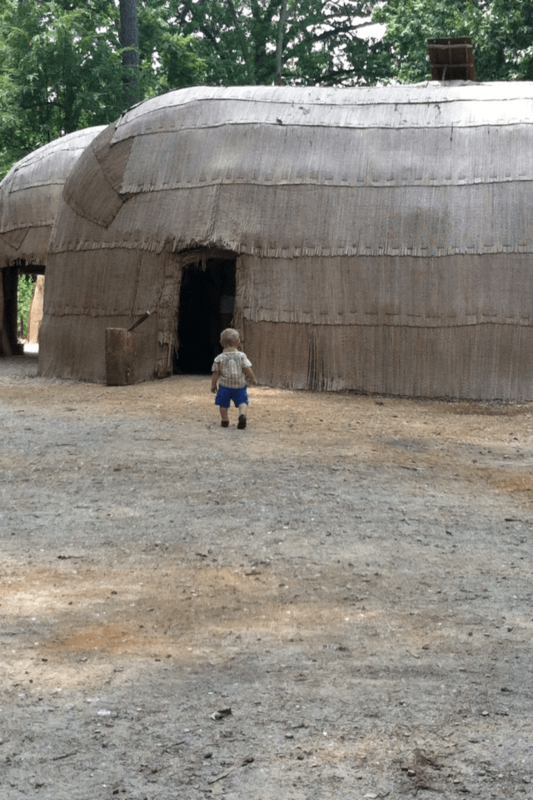 I loved the wigwams at Jamestown Settlement. 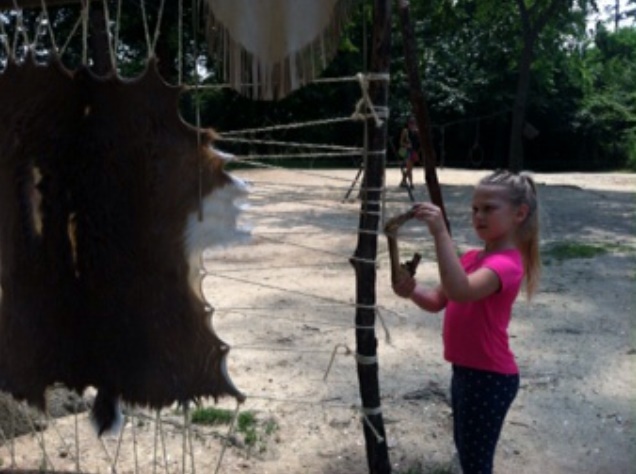 The Powhatan were farmers. Corn, squash and beans were an important part of their diet. They also hunted and fished. 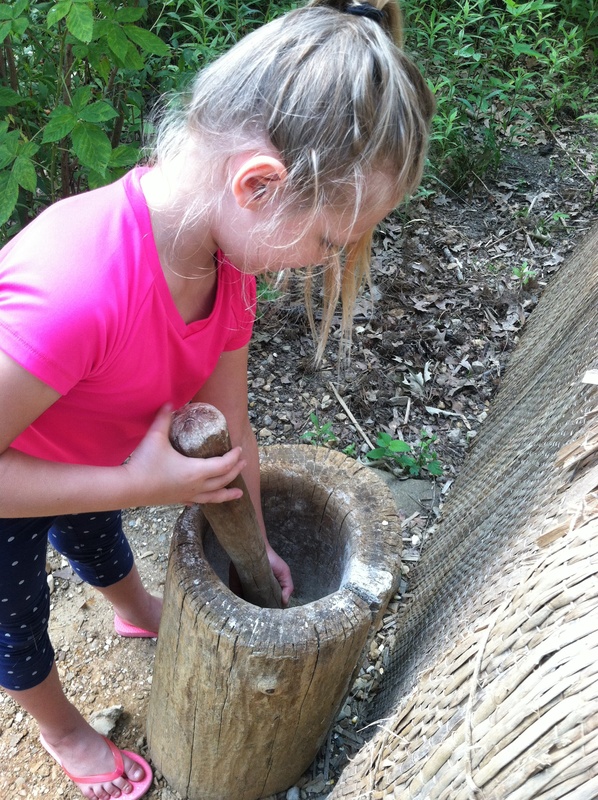 I loved how the outside exhibitions of the museum help visitors to learn and understand the typical day of the Powhatan and allow children to experience what life for the Powhatan children looked like. 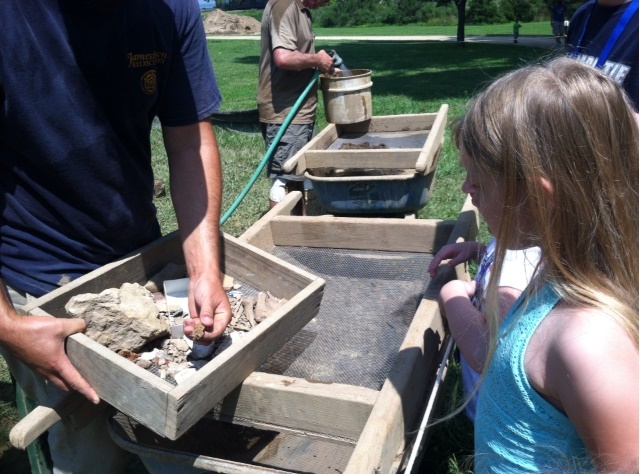 There are several archaeologists working at the real site of the Jamestown settlement. When we visited last summer, they were working in an area that they thought was a well. They found interesting artifacts in the dirt. 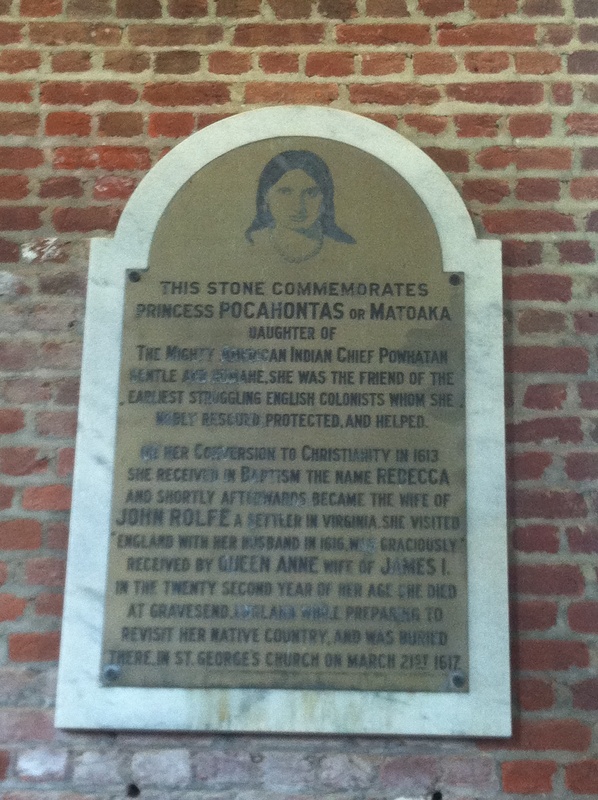 One of the most well known Powhatan inhabitants was Matoaka, one of the many names of the favorite daughter of the Chief Powhatan, also known as “Pocahontas” which translates to “playful, little girl” or “little wanton.” According to Captain John Smith, Pocahontas was Powhatan’s “most deare and wel-beloved daughter.” She was only eleven years old when she saved the life of John Smith, an incident that many scholars believe today was a ritual ceremony more than an assassination attempt. Pocahontas was the first Native American to become Christian. Her name was changed to Rebecca. Soon after her conversion, she married John Rolfe, a tobacco planter. 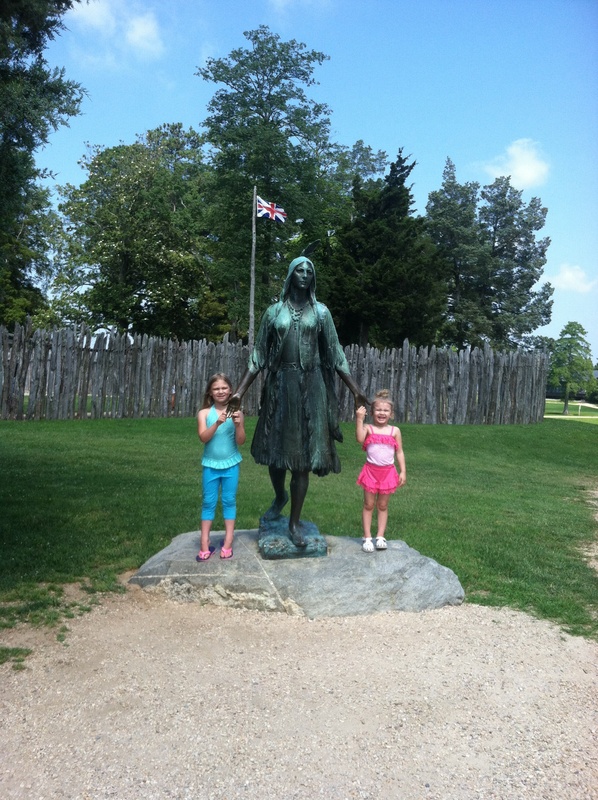 Their marriage brought a short period of peace between the Powhatan and the English colonists. Pocahontas played an important role for the rest of her life as a link between these two civilizations that were having a hard time understanding each other. If you want to visit Jamestown Settlement, please consider coming during off-season. You will beat the crowds and enjoy your walk with nice weather!